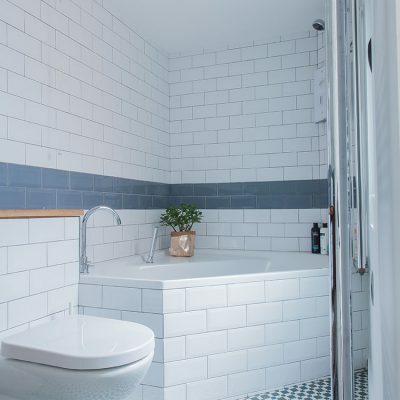 Total project cost: £58,000 including professional and application fees, kitchen and bathrooms, finishes, full garden works, lighting, appliances, etc. Windows: Most new windows are aluminium double-glazed, (argon-filled, low-e glass with U-value of 1.6 W/sqmK), except for the rooflight and feature rear window which are frameless double-glazed units, set into metal brackets with silicone sealant. 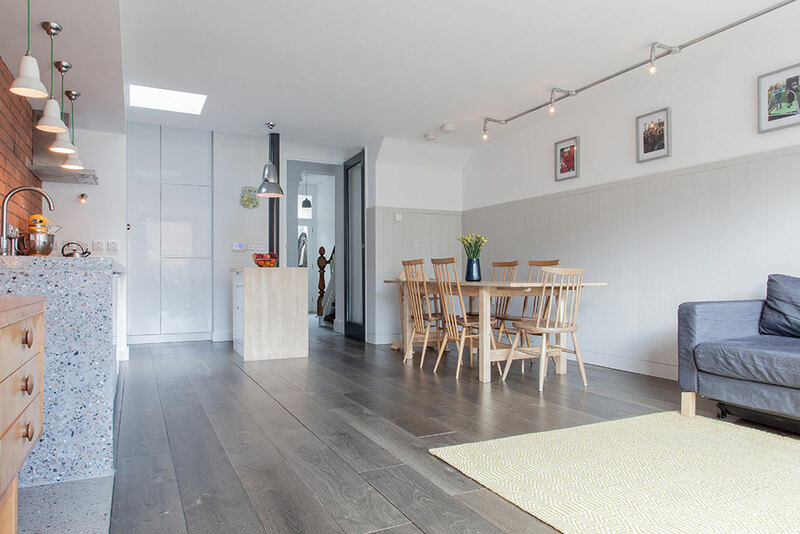 Insulation: Kingspan K12 in walls; Thermaroof above roof rafters, Kooltherm between; floor Kooltherm K3. 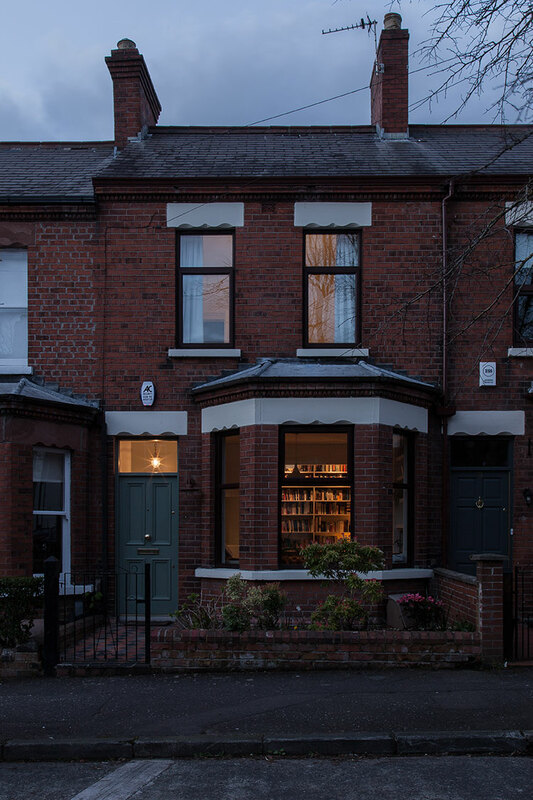 We bought this house the year we got married, in 2012. 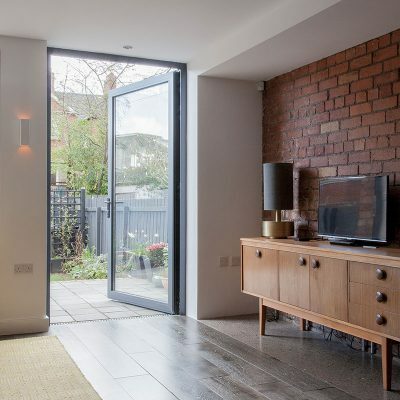 We were looking for somewhere central but with good space, potential for improvement/extension and a garden – a house in which to start a family,” says Aisling who’s welcomed her second child to their new home this summer. 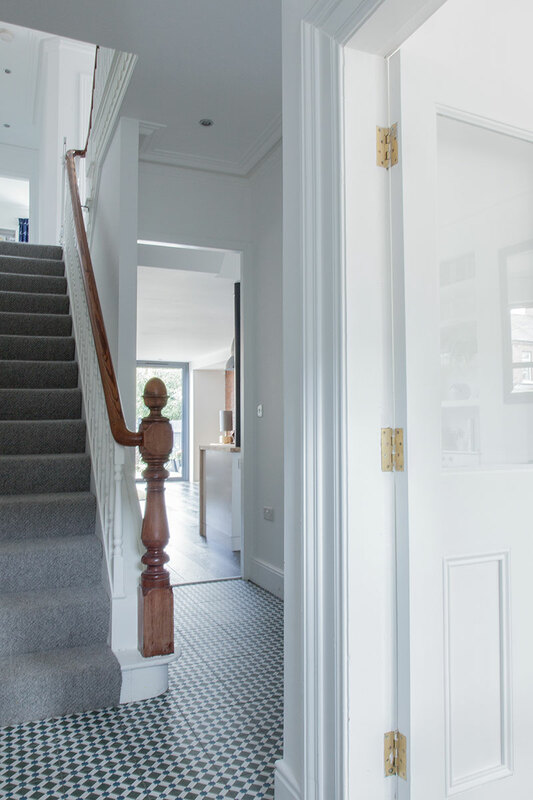 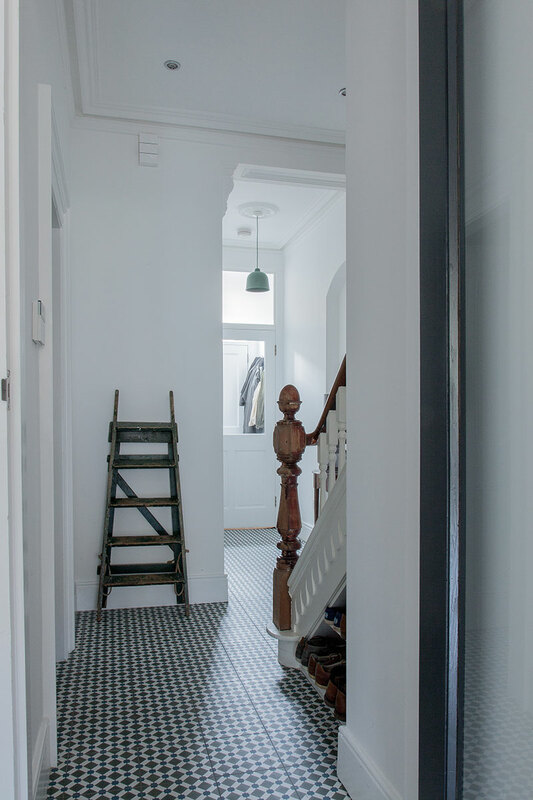 “We really love period architecture, and wanted to retain the original features the house had such as cornicing, doors, baluster and cast iron fire places, but at the same time introduce something much more open, bright and contemporary,” explains Aisling. 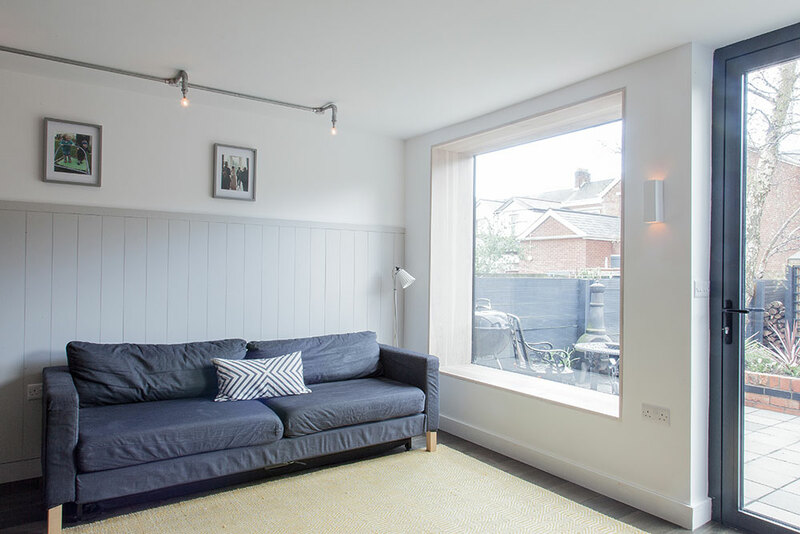 “I love the understated simplicity of Scandinavian design and its selective use of timber. 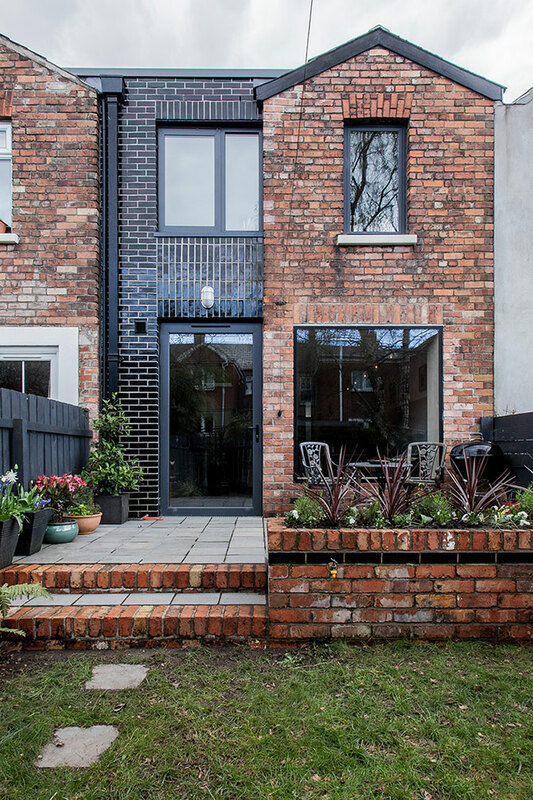 Externally, the default in Belfast tends to be to extend a red brick period house using modern red brick, but that can often look unattractive. 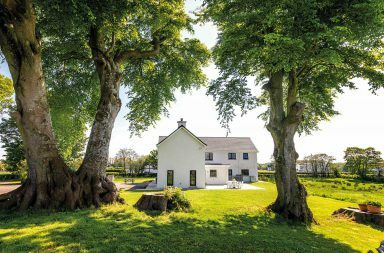 SSubscription Offer: Subscribe to the latest Selfbuild Magazines for €3.50/£3.00 every quarter with FREE Postage & Packaging. 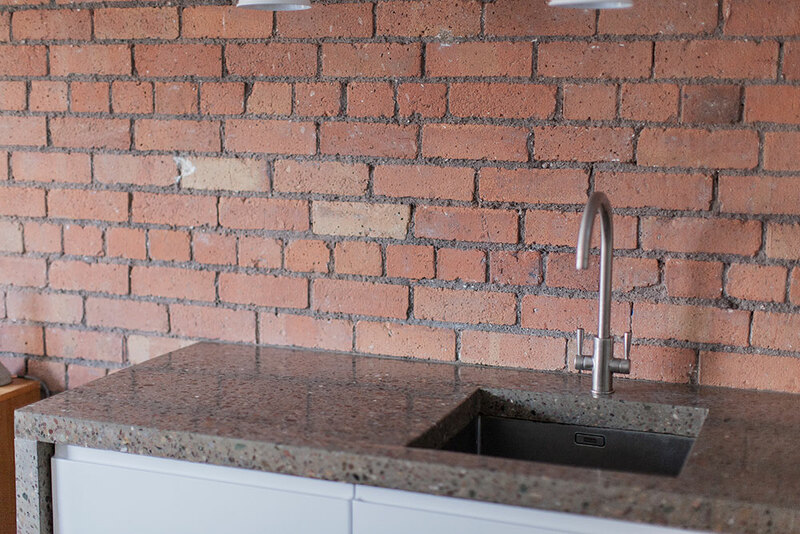 We wanted the new bit to look new, not like it had always been there, because that seems more ‘honest’,” she adds. 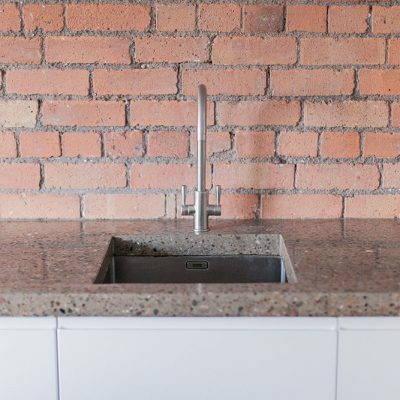 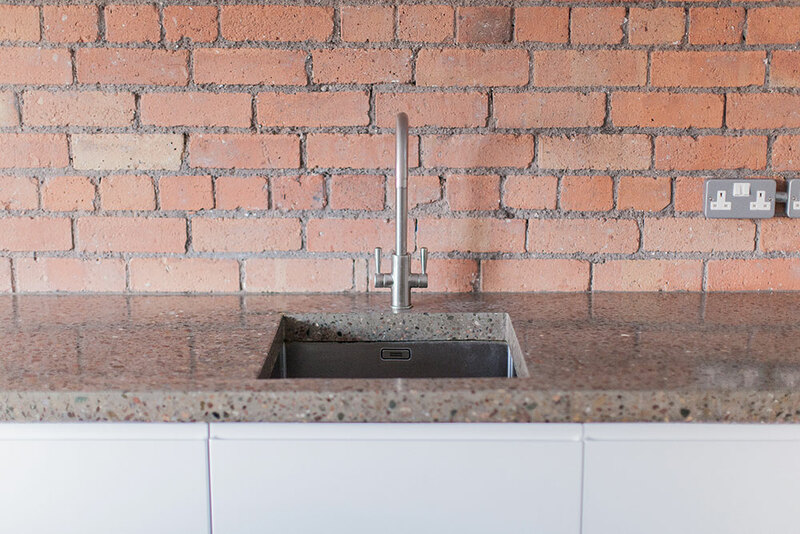 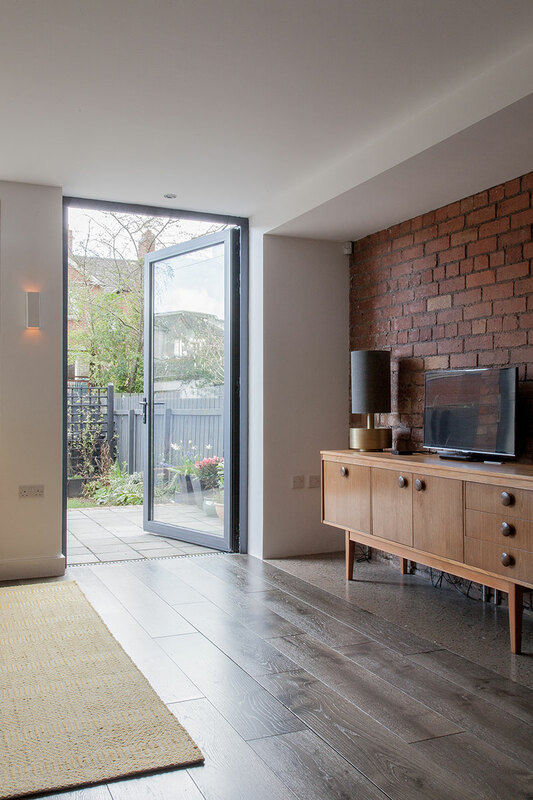 Within Belfast’s industrial heritage of mill buildings and factories, white glazed bricks were often used to illuminate tight rear spaces and courtyards – and so Aisling decided to use glazed brick, too – white in the internal lightwell and black to the rear. 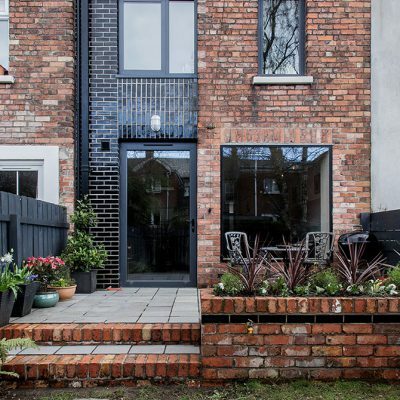 “An early conversation with a local Planning Officer suggested some potential discomfort with us deviating from red brick, but in the end we persevered and there were no issues,” she adds. 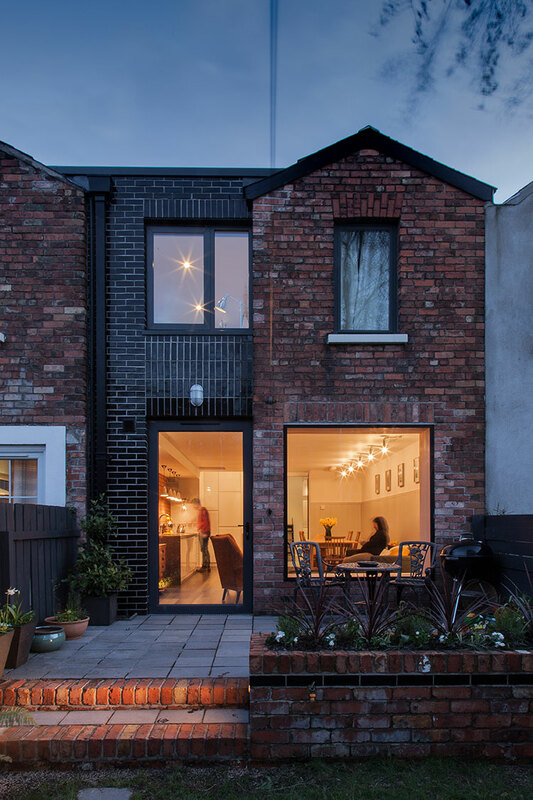 “The new extension reads as an insert between the two adjacent original rear returns, respectfully stepping back ever so slightly.” Inside, they aimed for a simple, stripped back interior. 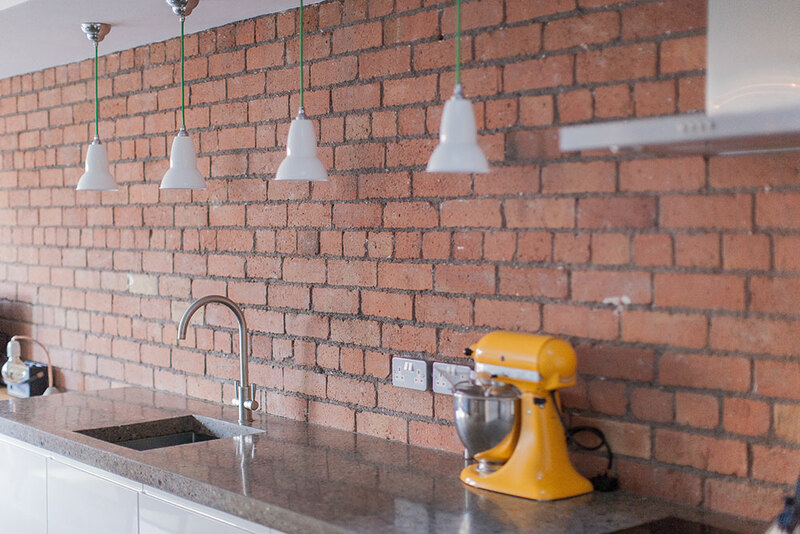 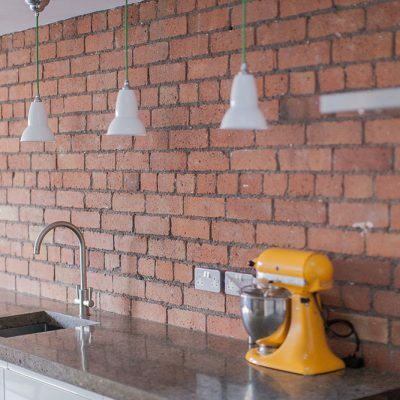 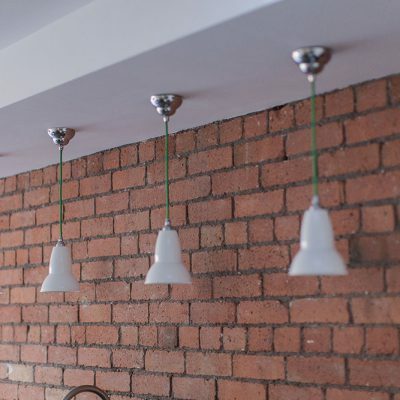 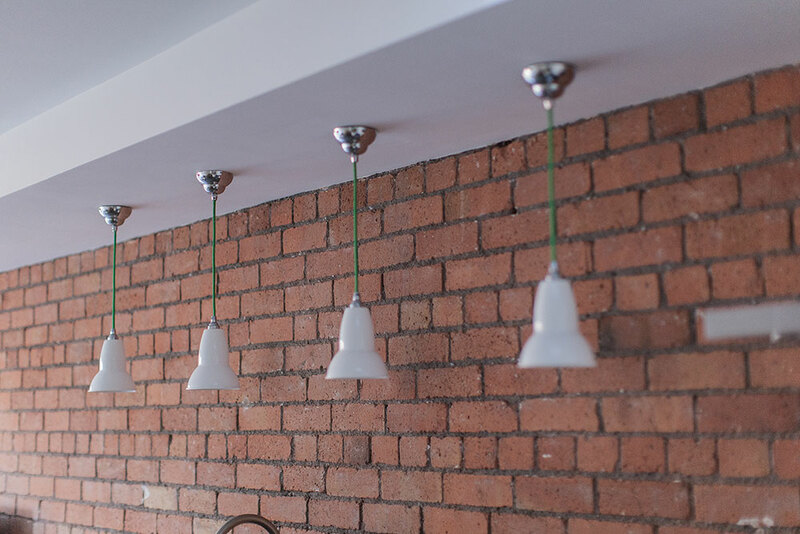 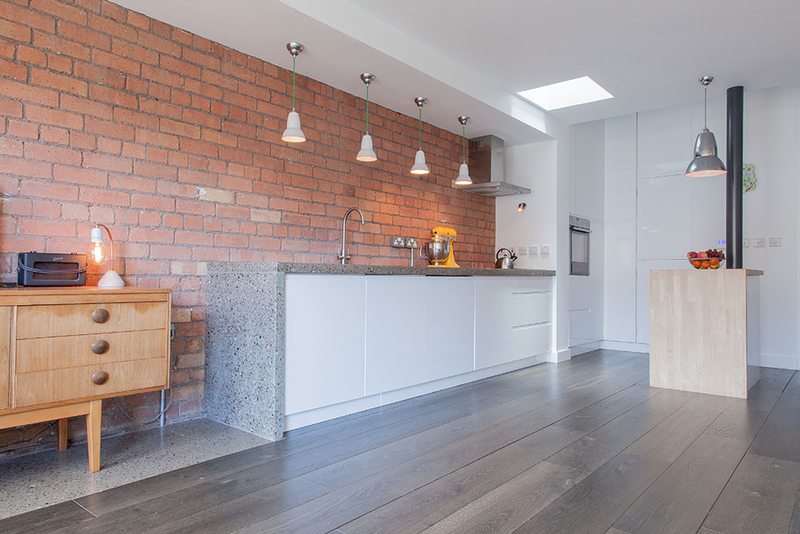 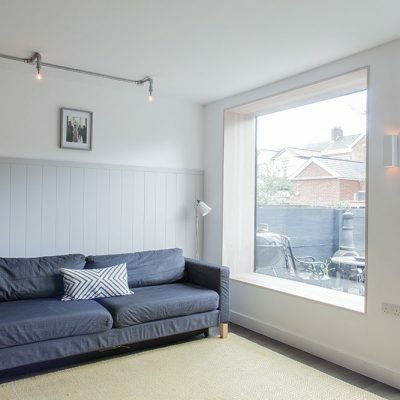 “The walls are painted white to maximise light into the spaces, and the original brick party wall has been left exposed to add texture and colour.” “We have favoured compact, mid-century vintage furniture (often on legs to help small floor spaces feel as big as possible) and embraced an industrial aesthetic when it came to elements such as lights. 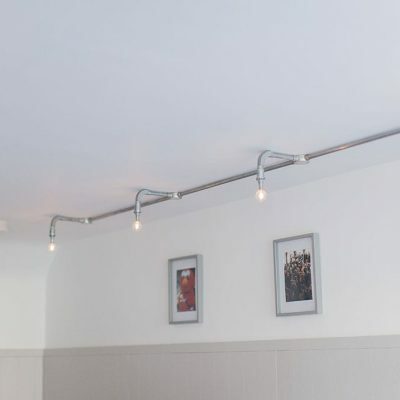 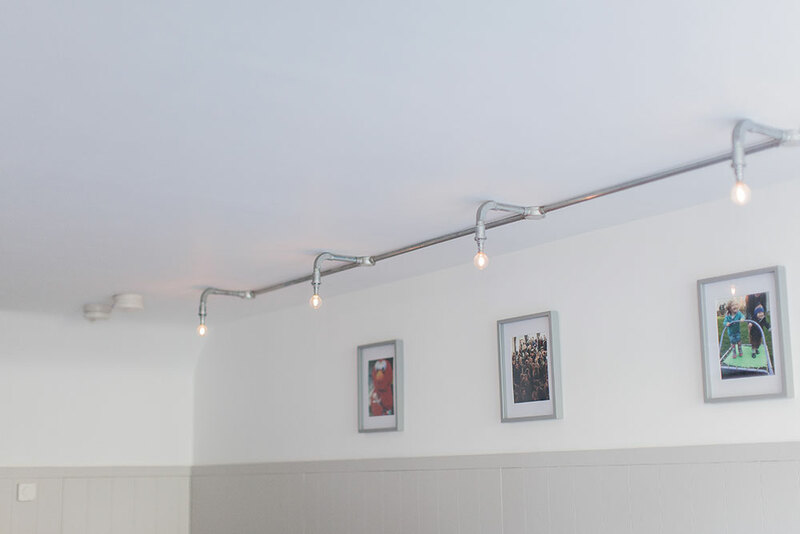 We took our time to select just the right pieces, in materials like metal and concrete.” One of the most successful and inexpensive lighting features is above the dining area where Aisling used electrical conduit and bare bulbs to create a dimmable feature strip. 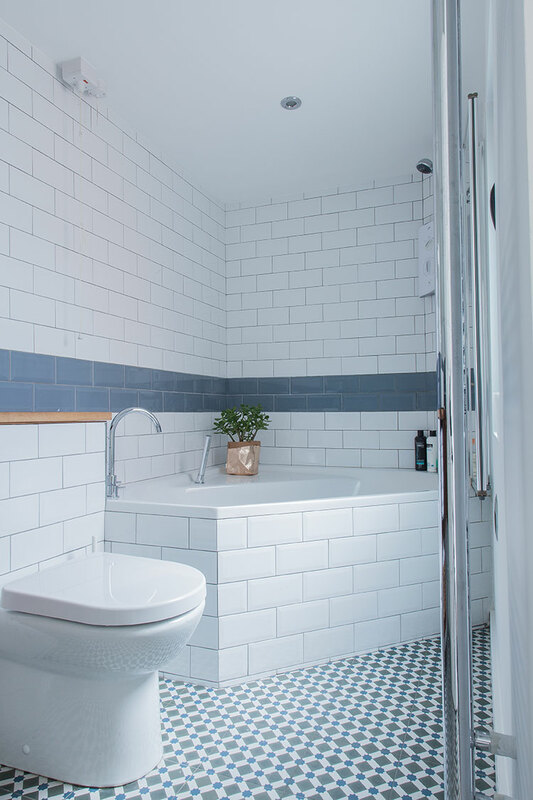 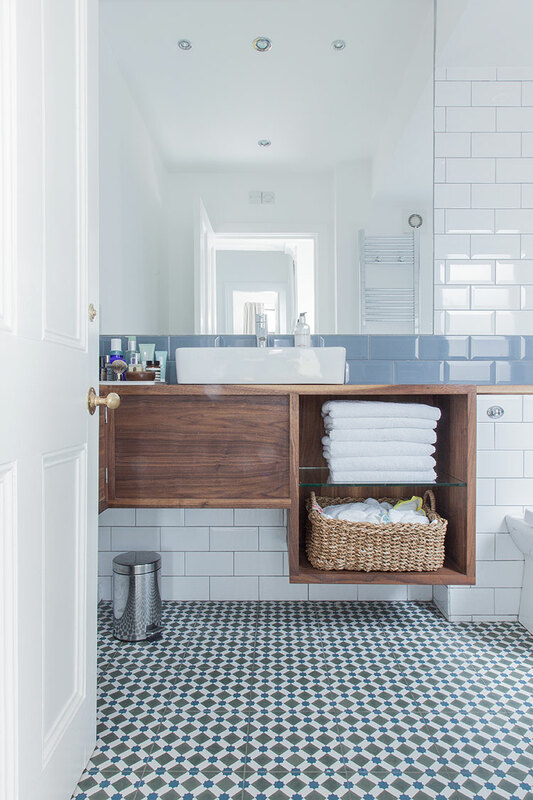 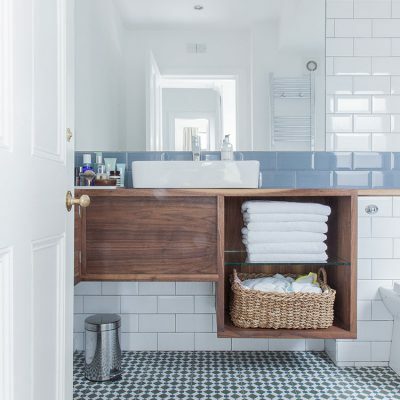 And to make their long, narrow bathroom work well, Aisling sourced a straight-edged corner bath from a German company to give them a decent-sized, full-width bath. 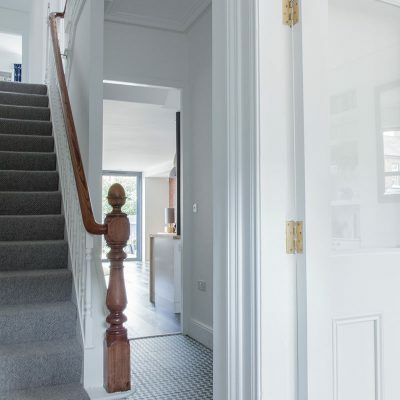 “It has been very successful, despite a long lead-in time which caused a slight delay,” she adds. 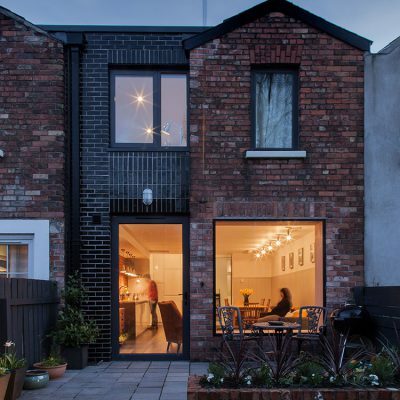 Aisling designed and detailed the extension and gained all the necessary consents (Planning and Building Control). 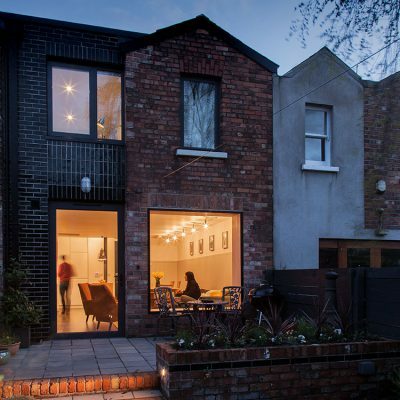 She then put it out to tender to local contractors to construct the project, based on recommendations from friends and structural engineer found their builder in this way. 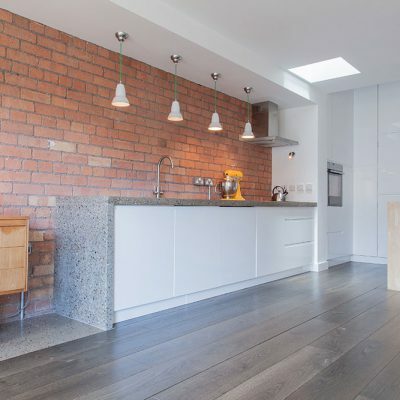 The first step was to remove the uneven, non-original concrete floor throughout and replace it with a new, insulated one with underfloor heating for the revamped kitchen/ dining/living room at the rear. 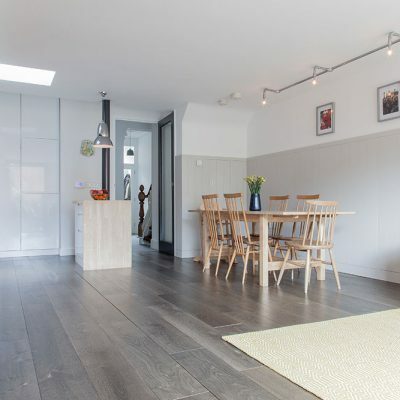 “We opted to put the insulation beneath the concrete slab so that we had seven inches (slab plus screed) of thermal mass to hold the heat from the underfloor heating for slow release – it is slower to heat up but also slower to lose its heat – we keep our heat on at a low temperature throughout the winter and have found this an extremely cosy house and very inexpensive to heat.” The heat source is gas with a condensing combi boiler. 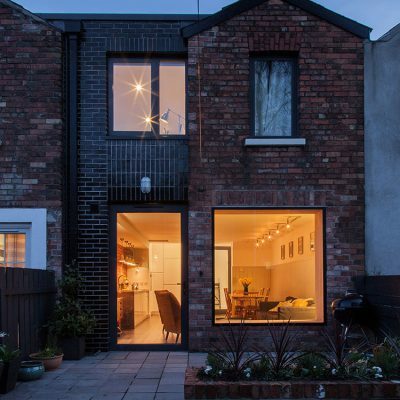 The rear yard was filled on two storeys between the house’s rear return and the neighbour’s. 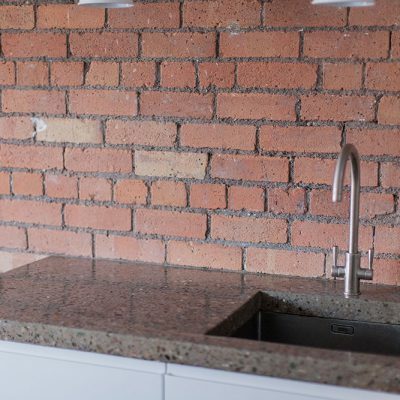 Much of the inner yard wall was removed – all of it at ground floor level, requiring a large steel beam to be installed on two columns, one of which was left exposed in the new kitchen. 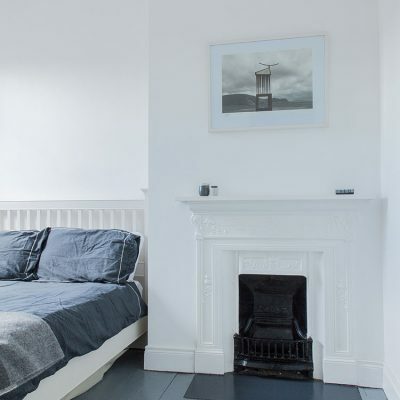 Some of the rear main house wall at ground level was removed, but was left intact upstairs. 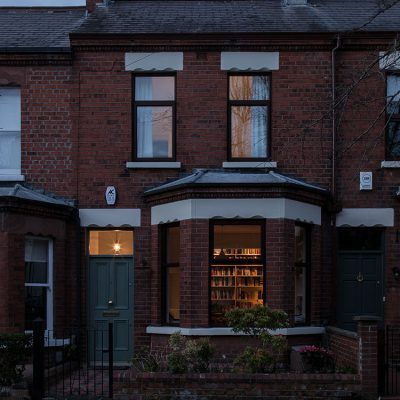 The front of the house was untouched. 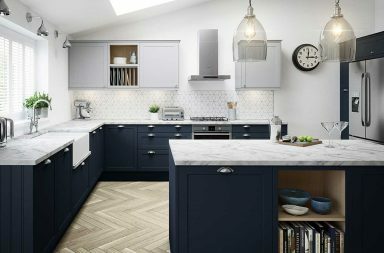 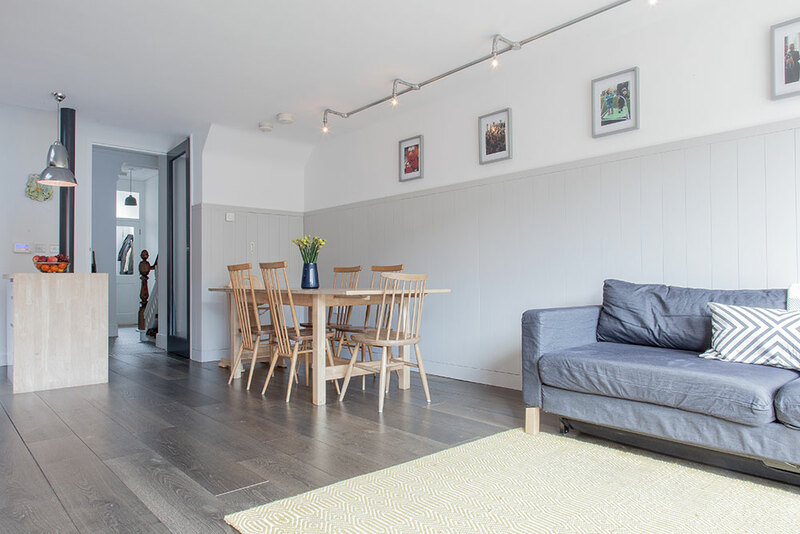 Downstairs, a long galley-style kitchen and outside toilet and coal shed have been replaced with a large open-plan kitchen/ dining/living space that opens out onto the garden (which was previously disconnected from the house by the yard). 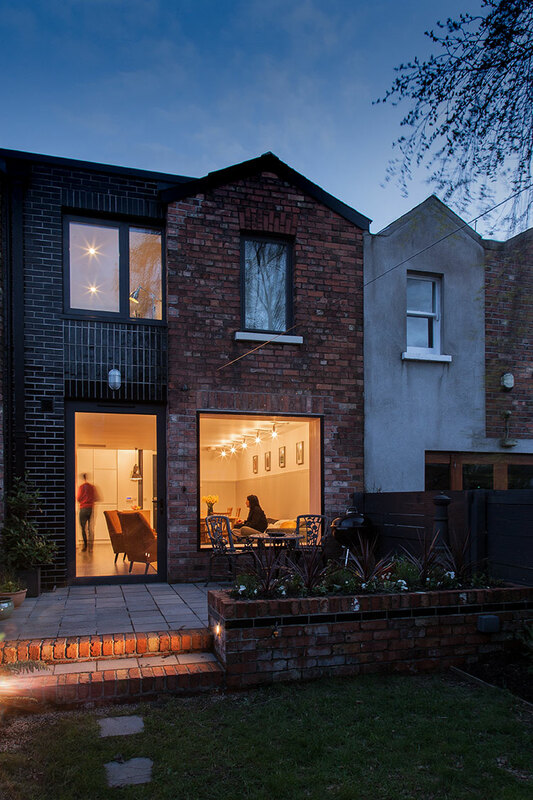 The new extension has a flat roof, covered in a proprietary membrane. 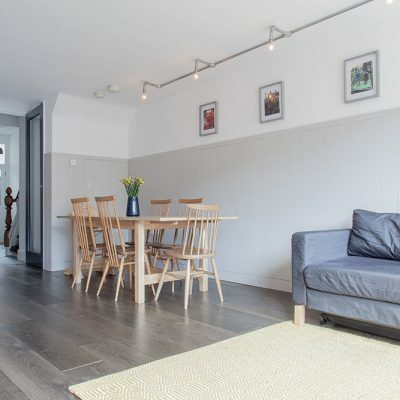 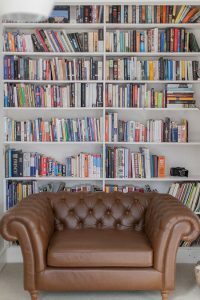 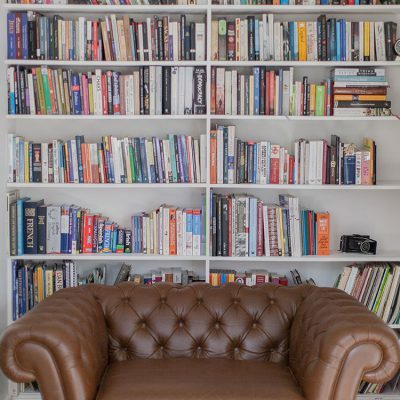 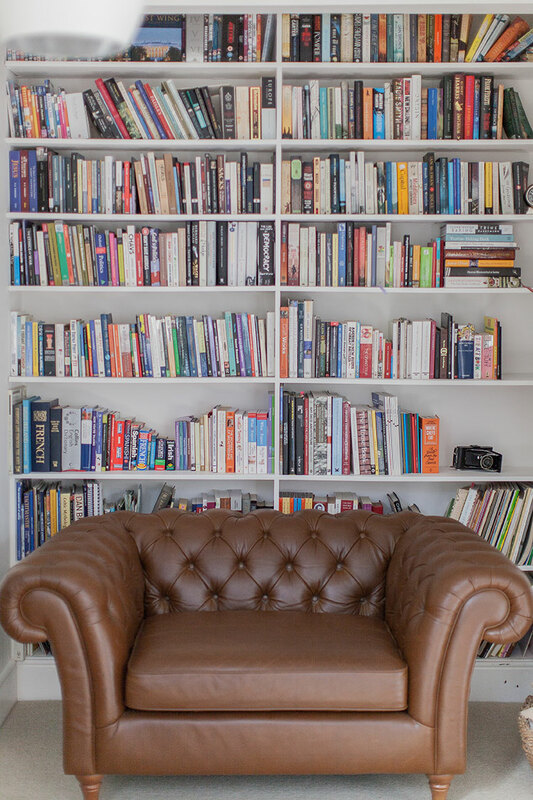 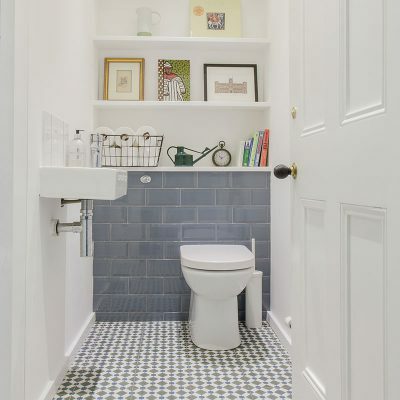 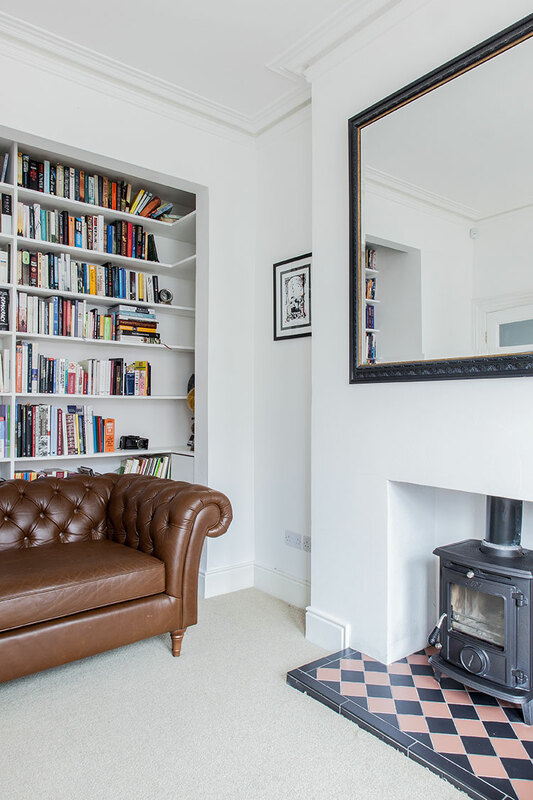 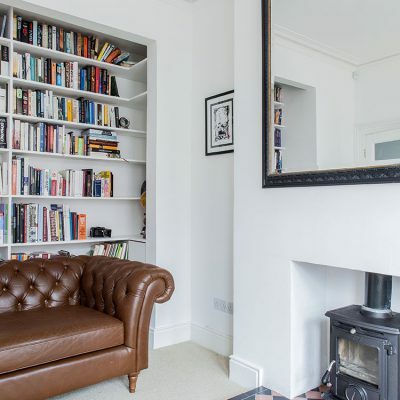 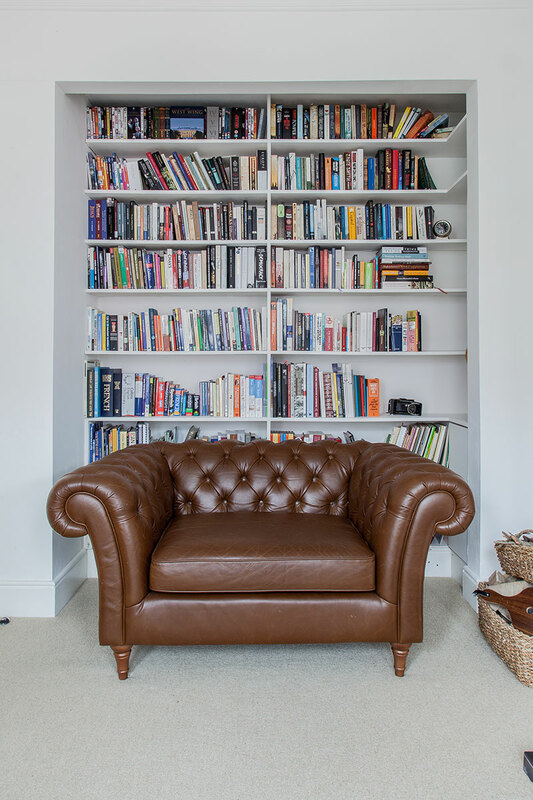 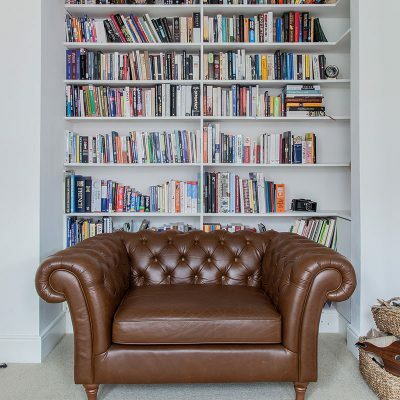 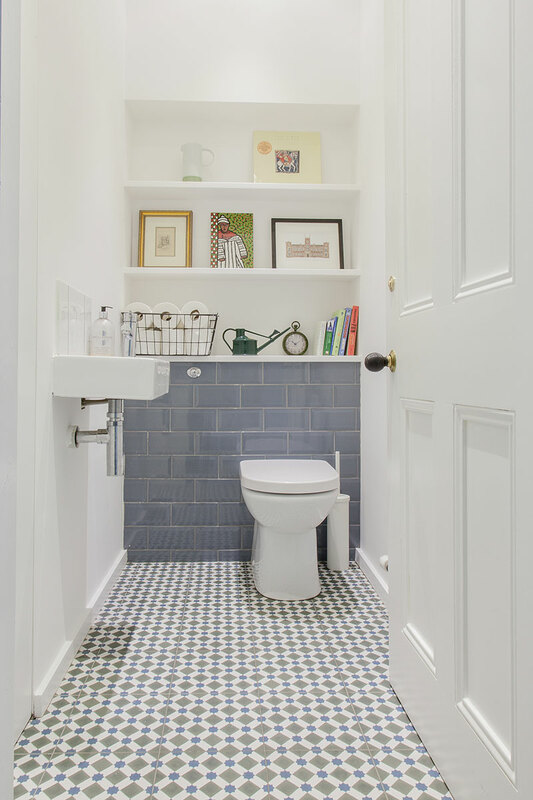 The original front room, formerly knocked together to form a front-to-back reception room, has been reinstated, with the addition of a ‘book nook’ and a WC/ utility room squeezed in between the two ground floor rooms. 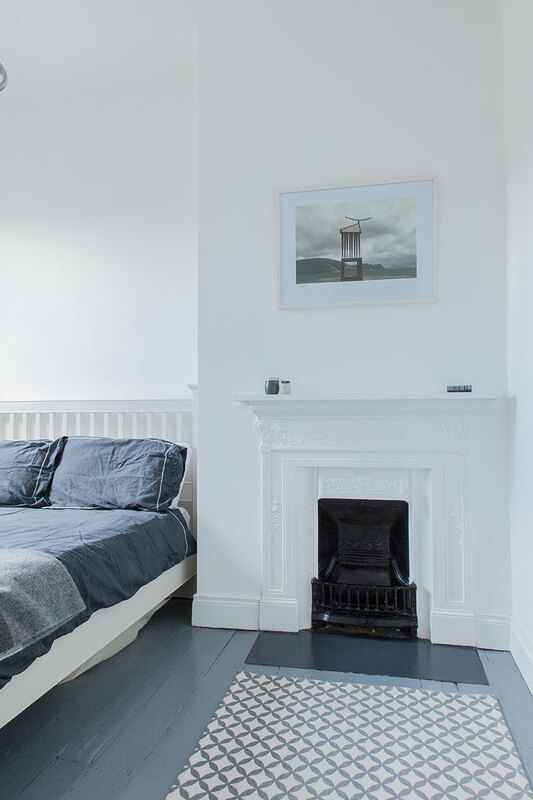 Upstairs, a fourth bedroom and a familysized bathroom have filled the void above the old yard. 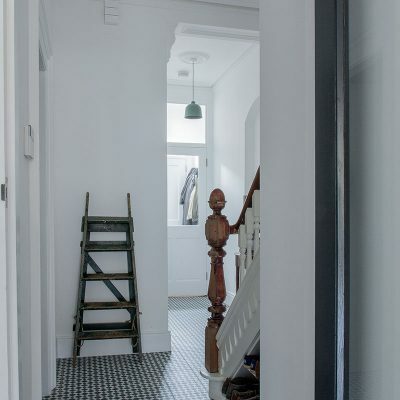 Aisling created a lightwell on the upper storey, which illuminates the existing second bedroom, landing and new bathroom, as well as the kitchen below.